From a very young age, Niv understood that his surname, Sabinzer, was special. Outside of his immediate family– Holocaust survivors and their descendants– no one knew how to pronounce or spell it correctly. As he got older, Niv realized something else. Since he has no brothers and the men on his father’s side are childless or have only daughters, only he could perpetuate the Sabinzer name. Only he could memorialize the Sabinzers who perished in the Holocaust. But even today, Niv knew, Jewish families are still discovering Holocaust survivors (or their descendants) who have forged new lives around the world. Even today, families are discovering “lost” branches that, nearly a century ago , sought economic advancement or freedom from persecution in distant lands. Were there other Sabinzers somewhere? “Who are we? Where did we come from? What kind of people were we?” he wondered. From time to time, Niv googled Sabinzer and Sabinster, another family spelling, but found few hits. When Leonid, a close cousin, died unexpectedly at a young age, however, those questions arose again to haunt him. Postponing his research any longer, Niv realized, would only make it harder and harder. So he approached his eldest living relative, a distant cousin ( also named Leonid), whose mother was a Sabinzer. This cousin provided not only the names of his parents and brother, but also those of his Sabinzer grandfather’s family. Although their roots were in the Novo-Alexandrovsk region, several generations back, he revealed, they migrated south to a village near Minsk. Both areas, at the time, were part of the Russian Empire. Cousin Leonid also had a personal tale to tell. When the Nazis invaded Russia in 1941, his high school class was visiting Moscow. Within days, Minsk (today in Belarus) was heavily bombarded. So instead of returning home, he and his classmates were sent to an orphanage. Leonid survived, but never saw his family again. Niv, heartened by his cousin’s revelations, tried Google once more. This time, he came across an A. Sabintsev. Although A. knew little of his family history, he did recall that his grandfather’s original surname had once been Sabintser– one of Niv’s surname variations. Local authorities in post-war anti-Semitic Belarus, he explained, had changed Sabintser to less Jewish-sounding Sabintsev. When A. revealed that his grandfather, Boris Sabintsev, was alive and well in Maryland, Niv practically jumped for joy. Boris, he learned, had roots in the Novo-Aleksandrovsk District, had been born in Minsk, had lost his entire family during the Holocaust, and had survived in an orphanage– exactly like his elderly cousin. So might Niv and A. be distant cousins? Because Jews traditionally name babies after the recently departed, their family trees are often studded with repeating Abrahams, Isaacs– or Leonids. Boris Sabinstev, however, has been unable to recognize any personal names on Niv’s family tree. Just the same, Niv and A. hope, one day, to discover common ancestors through DNA testing. In the meantime, Niv’s father searched for Sabinzer, in its original Russian spelling, on Google. Though he found no direct hits, he came across an online book that explains origins of Russian-Jewish surnames. Sabinzer, it discloses, originated in a Novo-Aleksandrovsk District hamlet called Sobyantsy. Neither Niv nor his father, however, have located this community in relevant gazetteers, maps, or elsewhere. They wonder if Sobyantsy might be a local pronunciation of modern-day Subačius , 75 miles away– or someplace else, long gone. Niv then registered at http://www.Jewishgen.org. This comprehensive site offers free access to thousands of databases, research tools, and other resources that further Jewish ancestral research and help locate “lost” family members. First, utilizing the soundex feature of JewishGen’s Family Finder, Niv located two genealogists who were also researching Sabinzer/ Sabentser with origins in the Belarus/Latvia/Lithuania region. Both their families, he learned, fled Europe before World War Two and settled in South Africa. Later generations spread to Australia, New Zealand, and the United States. Niv recognizes several personal names on their family trees. He has yet to discover a connection to their branches, however. To his surprise, Family Finder also revealed several people researching Spenser/ Spencer (surnames phonetically similar to Sabinzer) with roots in Great Britain. Niv still wonders if some of his Sabinzers, like these, anglicized their names? Next Niv explored relevant JewishGen online databases. Though he knew his family had lived in Minsk for several generations, none appeared in detailed extracts from the city’s early 19th century civil records. Guessing that they had not yet left Novo-Alexandrovsk (today Zarasai, Lithuania) then, he sought comparable 19th century records in JewishGen’s Litvak Special Interest Group “All-Lithuania Database.” Sure enough, relevant birth, marriage, divorce, internal passport, and death records reveal that people with Sabinzer sound-alike surnames (Shabentser, Sabentser , Sabenser, and Sabancher) were then living in towns across the Novo-Alexandrovsk District of Kovno Gubernya. These variations may reflect local pronunciations and the language (Russian Cyrillic, Polish, Hebrew, or Yiddish) in which their documents were written. They may also reflect JewishGen volunteers’ translation and/or transliteration skills. Yet all these people may have been related. Discovery of several Sabinzer 1920/1921 applications for internal passports was another All-Lithuania Database surprise. They suggest that Sabinzers, like many others, survived World War One deep in the Russian interior, then returned to newly-independent Lithuania. Internal passports dated 1930 through 1936, when the country suffered economic depression, suggest a desire to better their circumstances elsewhere. In these later documents, Sabinzer variations appear as Sabencerienes, Sabenceraites, and Sabenceras. These traditional Lithuanian-language endings indicate gender and marital status. Because modern-day Latvia, just over the border, had also been part of the Russian Empire, Niv next explored JewishGen’s Latvia Database. Then he searched the 1897 Russian Census. By the late 1800s, he found, several Sabentzers, though born in Novo-Alexandrovsk, had moved to nearby Dvinsk, in the Vitebsk Gubernya (today Daugavpils, Latvia). Records in the Belarus Births Database reveal that Niv’s great-great grandfather had indeed lived near Minsk, in a village called Rakov. When his son Grisha married, the newlyweds moved to Mintz itself. The couple had three children, Faina, Shura, and (another) Leonid– Niv’s grandfather. Leonid, who was 15 years old when the Nazis occupied the city, had much to share. Everyone in Russia’s eastern, recently-annexed areas of Bukovina, Bessarabia, and the Baltics– which were swelling with waves of Polish refugees– feared the atrocities of the Third Reich. Millions sought refuge as Nazi troops, the largest invasion in the history of warfare, advanced. Those who could fled on their own. Many perished along the way. Soviet authorities sent over a million Jews by rail to Soviet republics deep in Central Asia, including Kazakhstan, Turkmenistan, Kyrgyzstan, and Tadzhikistan, to assure their safety. Still, more than a million remained behind. A great many of these perished at the hands of Einsatzgruppen, small, mobile Nazi death squads that village by village, town by town, rounded them up, then systematically shot them. Einsatzgruppen often kept records of their massacres, noting dates, locations, and the number of their victims. To this day, however, most victims, who were buried in mass graves, remain nameless. 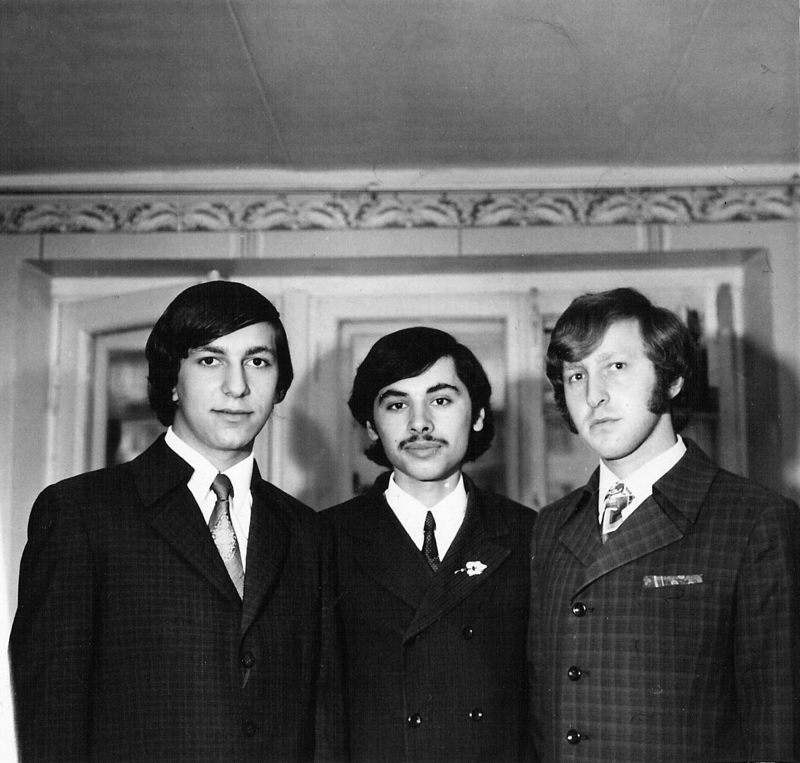 In the meantime, Grisha, Leonid’s father, like millions of other able-bodied men, had been drafted into the Soviet army. His wife and children, fortunately, were sent over 2500 miles away, near Tashkent, in Uzbekistan. Niv also discovered copies of their refugee registration cards, which are archived in the Central State Archives of the Republic of Uzbekistan in Tashkent, on JewishGen. They not only verified his grandfather’s tale– a recurrent part of his childhood, but brought his family history to life. Many refugees in Tashkent, like others who found shelter across Central Asia, perished from disease. Others, including Leonid’s mother and 16 year old sister, died of starvation. Their deaths, like that of most, went unremarked. Neither are their gravesites known. Recently, members of Niv’s family submitted Pages of Testimony in their names to the Central Database of Shoah Victims’ Names at Jerusalem’s Holocaust Heroes’ and Martyrs’ Remembrance Authority. So far, this depository, which actively encourages further entries, commemorates the lives of four million Jews. 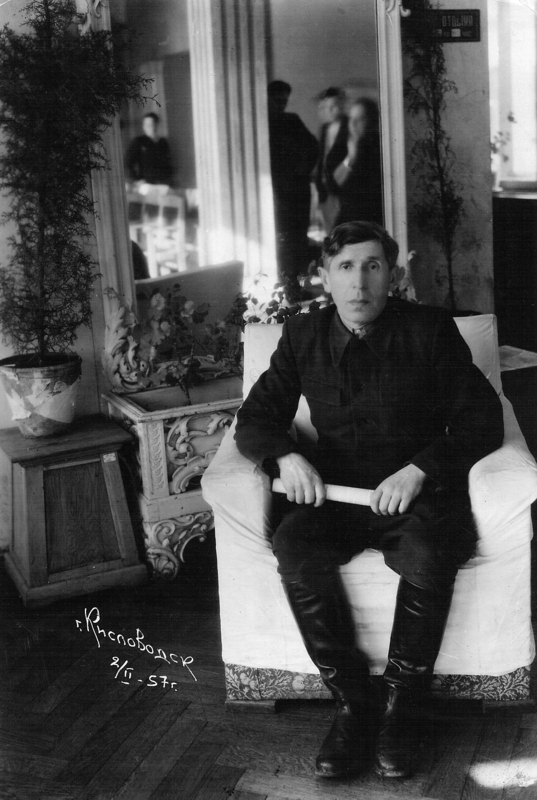 After his mother and sister died, Shura, Leonid’s older brother, was also drafted into the Soviet army. Leonid, like other youngsters bereft, abandoned, or left on their own, was transferred to an orphanage for the duration of the war. Because conditions were so bad there, however, he soon fled, preferring to wander from place to place in search of food and shelter. When Leonid came of age, he too was drafted. After the war, Leonid, Shura, and their father returned to Minsk. 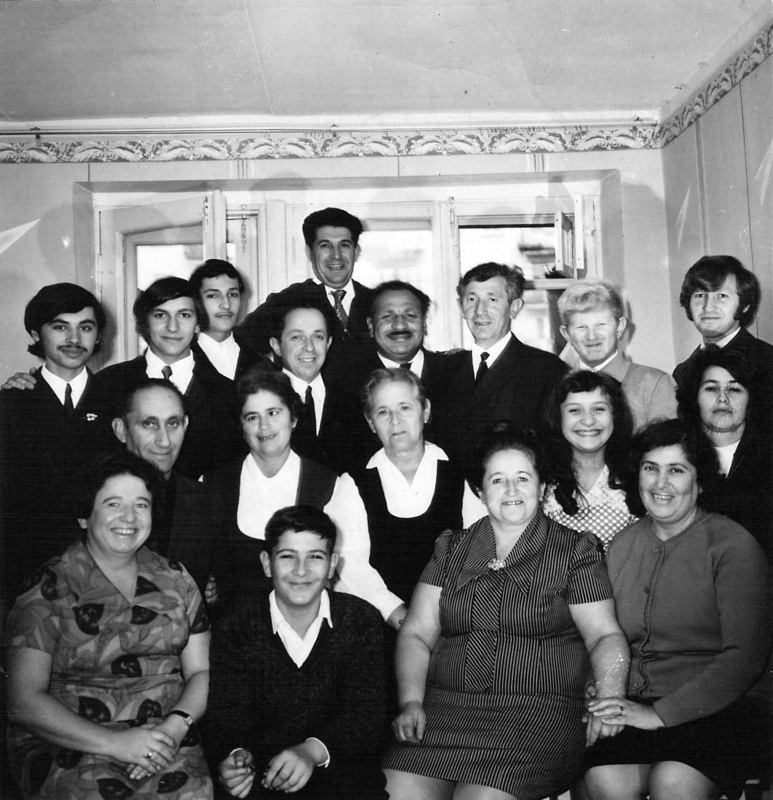 In 1972, when the USSR allowed massive numbers of Jews to leave the country, Leonid, his wife Natasha, and their children, Sasha, Genia, and David, emigrated to Israel. Sasha is childless. Genia has two daughters. David, married to Dalia and living in Beersheba, has two daughters and one son– Niv Sabinzer. Hopefully, Niv’s journey through his past will continue. Nearly all JewishGen databases, which are compiled by volunteer transcribers and translators, are works-in-progress. So additional information may come to light. Familysearch.com, a service provided by The Church of Jesus Christ of Latter–day Saints (LDS), currently offers worldwide access (except for Israel) to the Kovna Gubernya Jewish Metrical books 1822-1940. In the future, they may film other relevant documents as well. Additional Jewish records, if still restricted to archives across Latvia, Lithuania, Belarus, and Uzbekistan, may also become accessible. And other Sabinzer researchers may one day seek Niv out. Niv’s personal journey continues as well. In 2012, he and his wife Einav welcomed their first child Roni, a daughter. Recently, they welcomed a son, Guy Sabinzer.